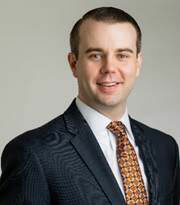 Andrew Taylor has been selected as chief strategy officer for Providence Health & Services, Washington & Montana region. He will begin his new position with Providence in Spokane March 11. Taylor is filling the position formerly held by Scott O'Brien who transitioned into the role of chief operating officer for Providence Health & Services, Washington & Montana region. He comes to Providence from Ascension Health, where he served as market vice president for strategy leading strategic planning and business development for the Alabama region - a $4.5B health care system serving 25 counties with six hospitals and more than 1,300 medical staff. Taylor holds a Master of Health Administration from Ohio University, and an undergraduate degree in psychology. He is a Fellow of the American College of Healthcare Executives (FACHE).